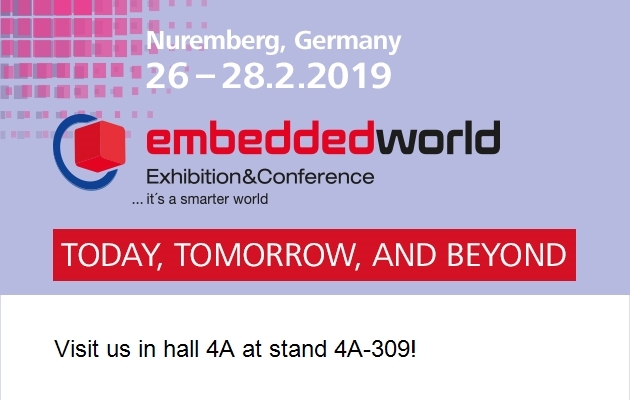 We will be attending embedded world, the leading international exhibition for embedded systems, in Nuremberg from 26 to 28 February 2019. The Lorit Consultancy team will be on stand 4A-309 to speak with organisations who are looking for Functional Safety and Regulatory Compliance support or training. Meetings can be arranged in advance by contacting Linda Stein. If you haven’t registered yet, you can register now using our complimentary voucher E-code B406346 at www.embedded-world.de/en/visitors/tickets/voucher for a free 3-day ticket to the event. Know someone else who would be interested? Feel free to share the code – it can be redeemed more than once.